Good morning, dear readers, and happy Friday! I am so thankful that the weekend is almost here; I definitely need a little bit of rest and relaxation! I've had a lot going on in my life outside the blog, and I may be taking off from the blog the week of Christmas so I can focus on my family and hopefully get a little "me" time in. Now to today's post! Today I have the DIFFERENT dimension Shooting Stars Auriga, Cetus, and Pegasus to share with you. 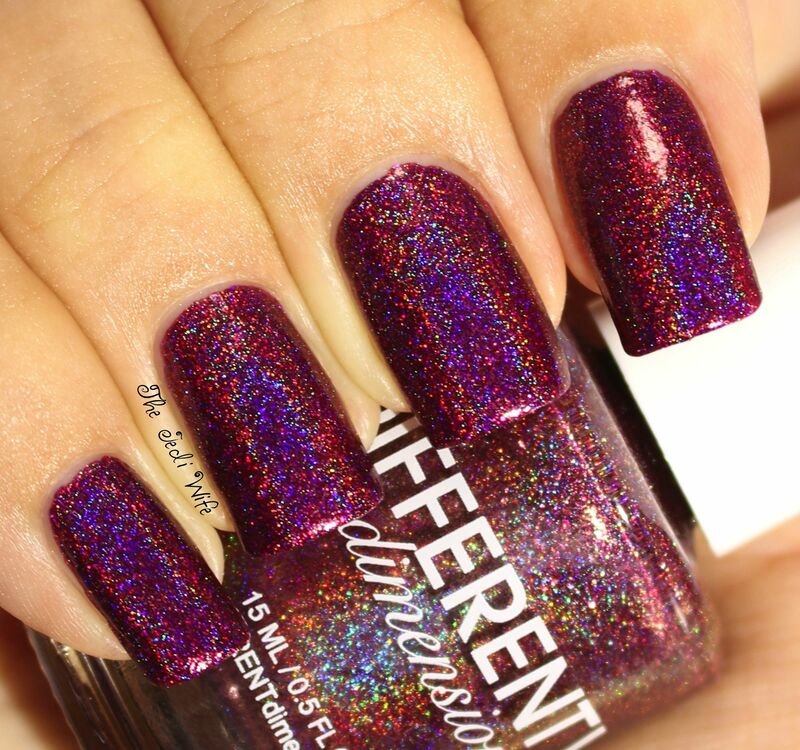 For those of you that may not be familiar with them, Shooting Stars are limited edition one time release polishes. Missi, the creative genius behind the brand, makes a single batch of each Shooting Star polish, and once they are sold out, they are gone! The three shades in today's post released last Friday, and at the time of this post, they are all still available for purchase. Let's check them out! 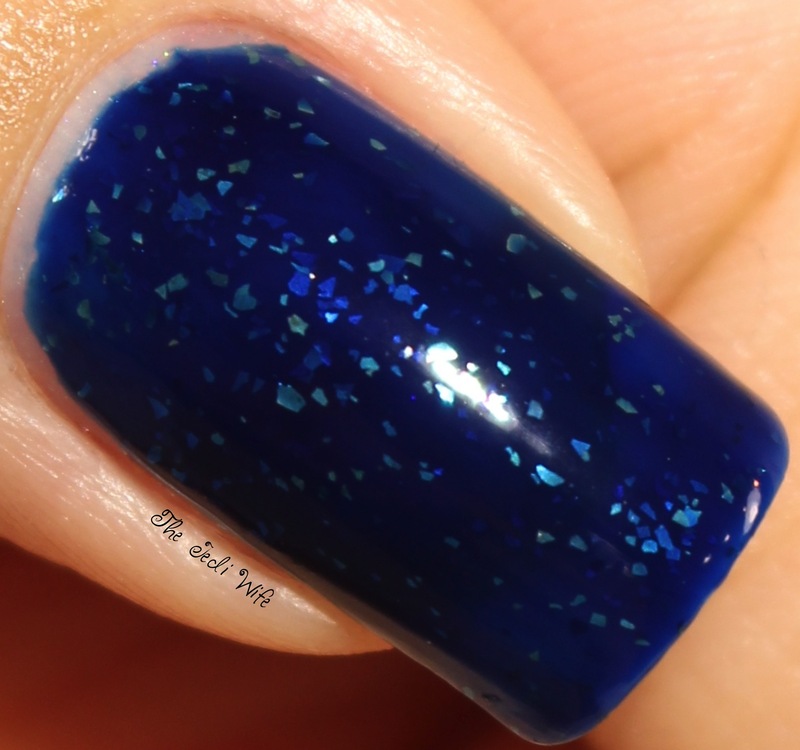 Auriga is a royal blue jelly, packed with sterling silver flakies. I was so excited when I first heard about Auriga! 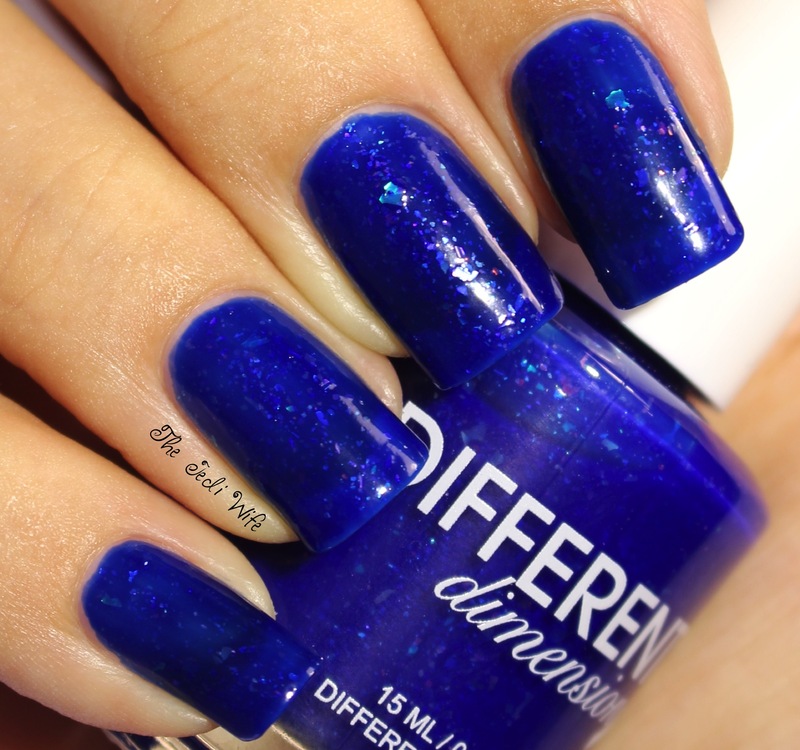 I adore jelly polishes, and this blue shade with sterling silver flakies is gorgeous! While the other two shades are beautiful, Auriga is my current favorite type of polish and my favorite of these three shades. 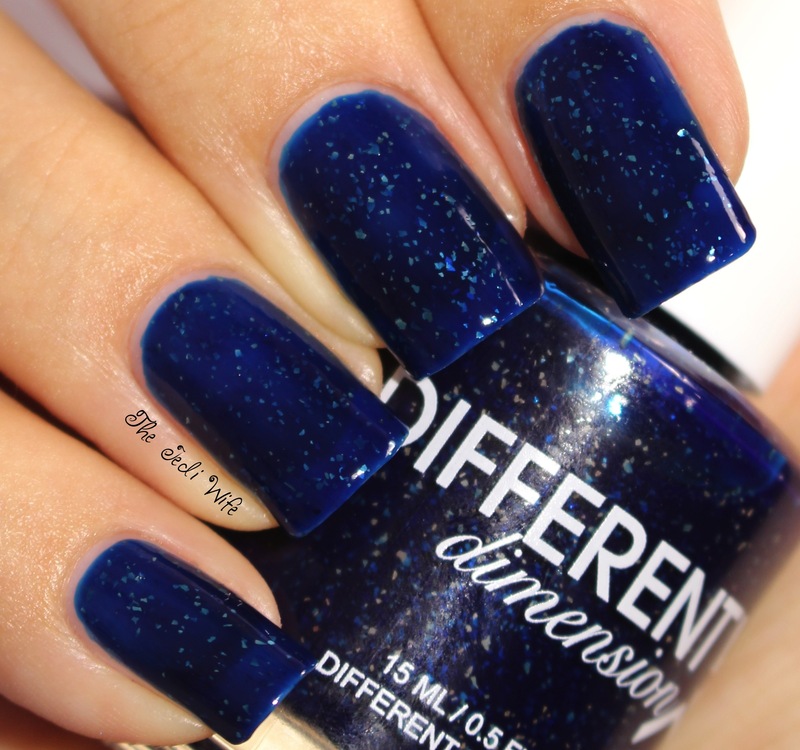 This polish was really easy to work with: the formula was great! I used two flawless coats for these photos. 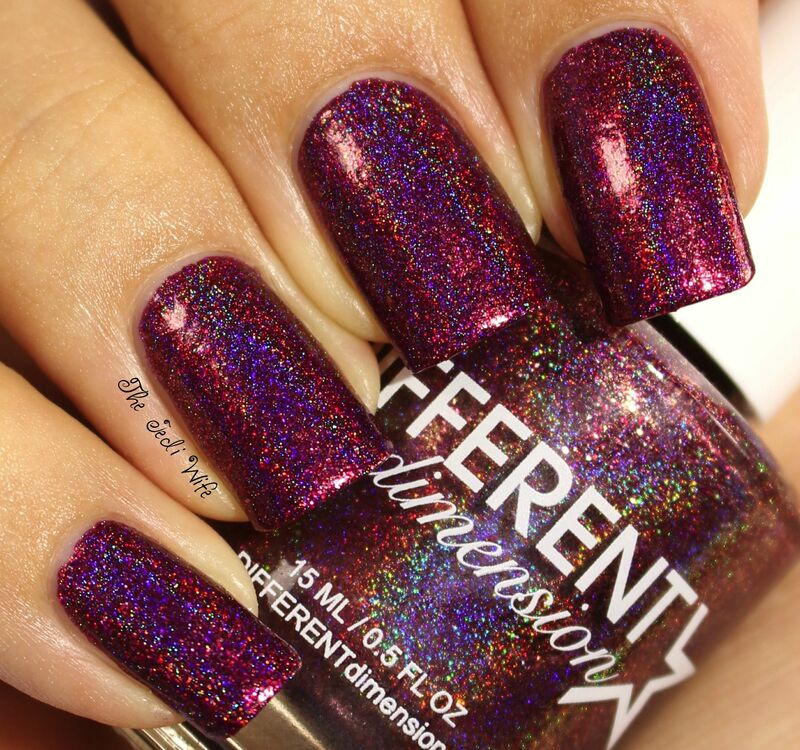 Cetus is a rich berry holographic polish with added shimmer. I've been enjoying berry shades a lot lately, and Cetus is a very welcome addition to my collection. The extra shimmer makes it dazzling, and my camera had a difficult time capturing the beauty of this polish. The formula was fantastic, and I used two coats for these photos. Cetus is quite pigmented, and if you tend to paint with thicker coats, you should only need one coat. 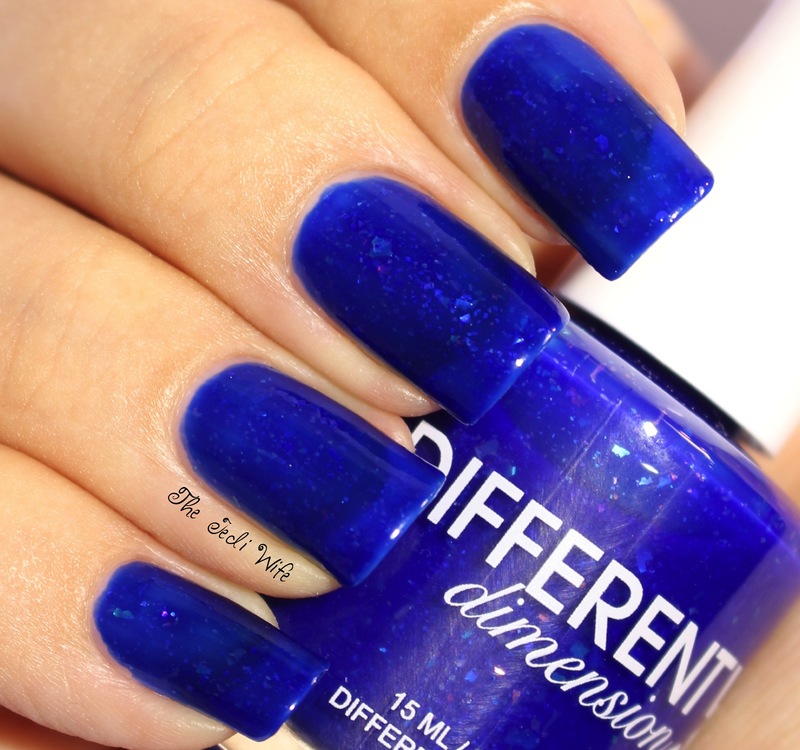 Pegasus is a cobalt blue crelly with rainbow shimmer, flakies and color-shifting flakies throughout. When I was a little girl, I really wanted to have my own Pegasus and now it has finally happened! Woo hoo! I'm reasonably sure I didn't sprout wings to fly while wearing this lovely shade, but it is still pretty to look at! The extra pops of colour are much more apparent when you have lighting on your nails, and as much as I hate glare in my photographs, that was the best way for me to show off the rainbows. The formula of Pegasus was great as well, and I used two easy coats for these photos. 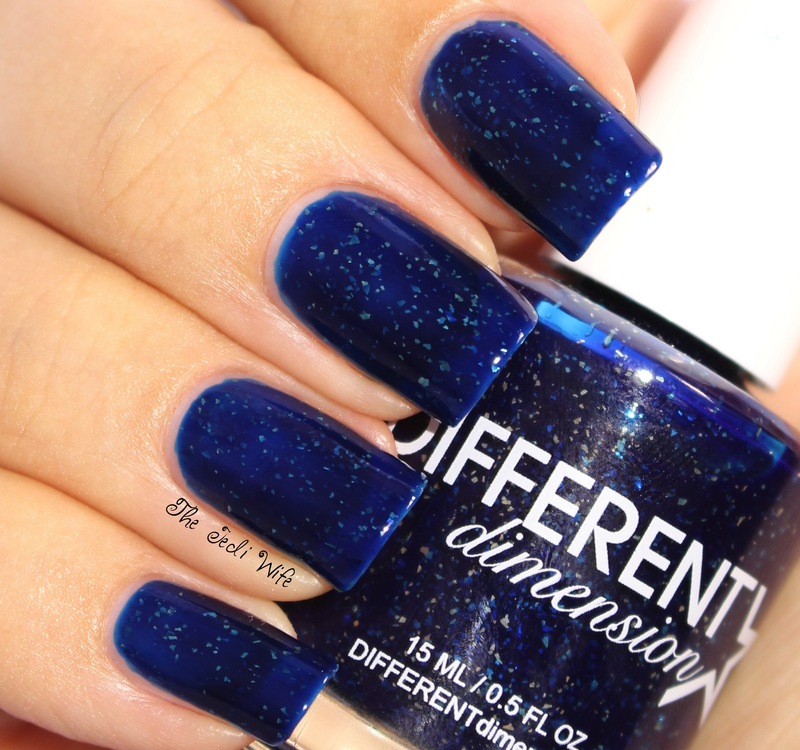 I really love these polishes, and if you love blue jellies, crellies, or berry holos, you certainly won't be disappointed! All three Shooting Stars are currently available at DIFFERENT dimension's site here. They are extremely limited edition, so you definitely want to grab them before it is too late! OMG cetus is pertfection moreover it's the mythologic animal I prefer in the dreamworks cartoon Symbad (my fav!). Gorgeous picts! I totally love those jellies!